At Big Eye Home Inspections, we are looking out for you! You will be provided with the necessary information about the property you are interested in purchasing, allowing you to make the right decisions on your new investment. Big Eye Home Inspections has over 25 years of building experience. Owner Heath Franklin has built homes from the ground up – including catchment and solar installations. Big Eye inspections operates under ASHI standards. 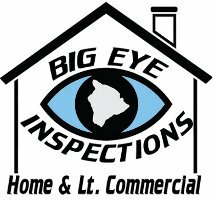 Big Eye Inspections provides home inspection services on Big Island Hawaii. A home is an expensive investment that should be properly inspected prior to a purchase. Otherwise, you will be in for a big surprise with repairs and code violations that you may not know about! We also operate and test all permanent appliances, windows, and fixtures. © 2019 Big Eye Inspections. All Rights Reserved.